The major force behind the Society of Six in the 1920s in the Bay Area of California, Selden Gile set aesthetic standards that espoused color and guided the group with the strength of his personality, physical energy, and warm hospitality. 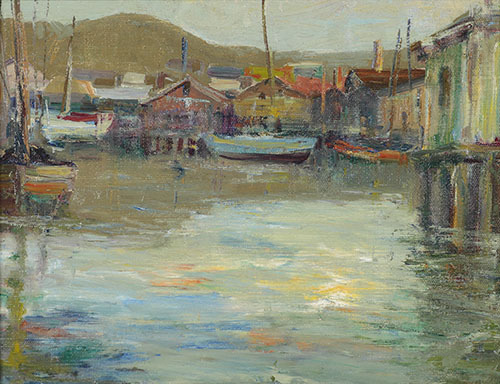 Departing from dominant decorative and Tonalist influences of Arthur Mathews and William Keith, the Society of Six created a new landscape art of sunny reality; it was Impressionism-Fauvism applied to the California Scene. 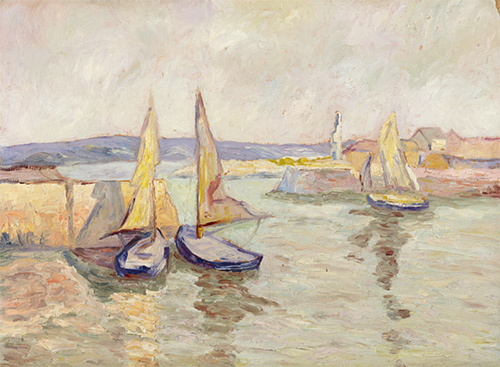 The other painters associated with Gile in this rebellion were Maurice Logan, William Clapp, Bernard von Eichman, August Gay, and Louis Siegriest. Gile was born in Stow, Maine, to parents from Salem, England, and was named for Seldon Connor, Governor of Maine. The family lived on a farm, but from childhood, he was regarded as different from his boisterous, carousing brothers because of his artistic talents and apparent refinement. He completed high school in 1894 in Fryeburg and then lived with his brother Frank in Portland, Maine, where he attended Shaw’s Business College. Frank was head chef at the landmark Lafayette Hotel in Portland and taught Gile cooking and convivial hosting, qualities that would later serve him well in California among his artist colleagues. General Marshall Wentworth, owner of a hostelry in Jackson, New Hampshire, where Selden worked, took an interest in the young man and arranged a job as paymaster and clerk on a vast ranch in Rocklin, California, near Sacramento. Selden’s reasons for wanting to head West are unknown, but one of his brothers loaned him fifty dollars for the journey. His job was dangerous, requiring him to deliver the payroll from the bank to the ranch, and he carried a gun which he sometimes used to defend himself. He fell in love with Beryl Whitney, daughter of the ranch owners, and was deeply hurt when her parents, disapproving of the relationship, sent her away to Europe and she married another man. From that time, he had an open aversion to women. 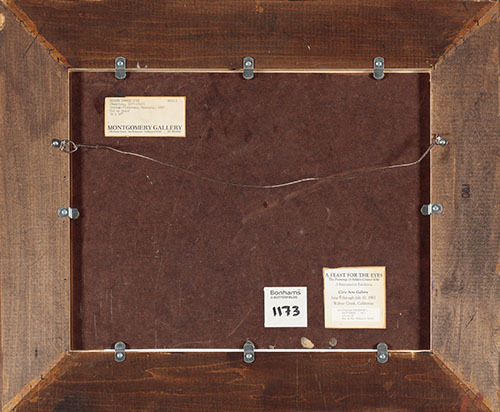 In 1905, he moved to Oakland, California, and worked as a salesman of ceramic building materials for Gladding McBean whose products became crucial in the rebuilding of San Francisco after the earthquake. 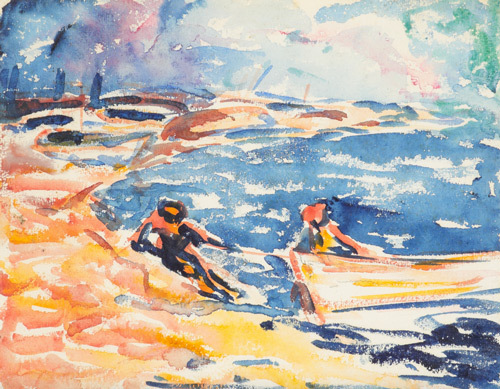 He was basically self taught as an artist and with high energy and a sturdy build, had a capacity for long hiking trips and outdoor, plein-air painting that he pursued passionately. 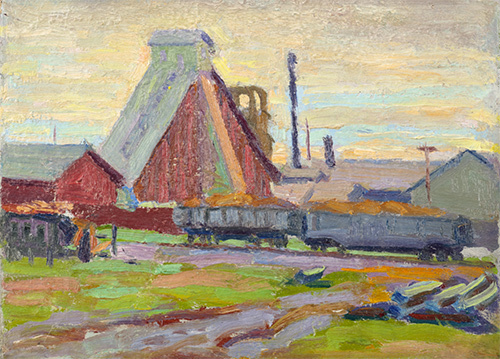 Few of his early paintings of California survive, but most existing ones have barns, which became a repeated symbol in his work of the artist himself. His talents as food and drink host and provider of lodging became legendary. He shared his house with several aspiring artists and held dinners that he prepared with skill in what was described as an all-male, raucous atmosphere. Friendship with writer Jack London underscored Gile’s seeking out of people that were creative, romantic, assertive, and working class. With the Six, he exhibited regularly at the Oakland Art Gallery. 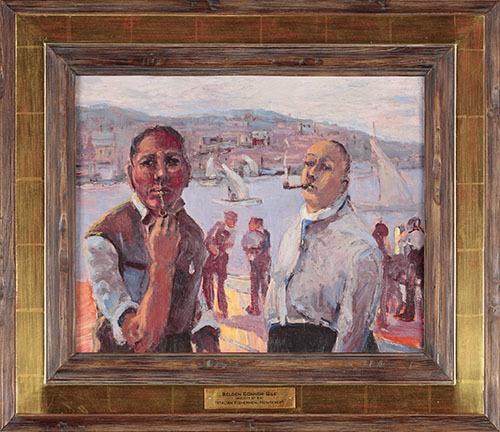 In 1927, he moved north to Tiburon across the Golden Gate Bridge and after that to a houseboat in Belvedere from where he continued to paint. However, he also fell in with a heavy drinking crowd, which affected the quality of his work and caused him to fore-go his energetic plein-air painting treks. 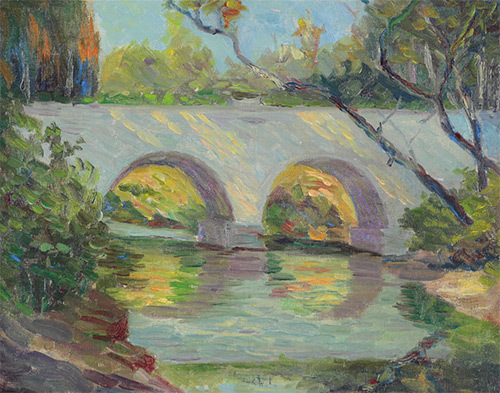 Indicated by his painting, Desert Bridge, Holbrook, dated 1926, Gile traveled to Arizona where, according to author and gallery owner, Alfred Harrison, his subject was Holbrook, Arizona. Several years later, according to Harrison, Gile was in Taos, New Mexico which resulted in his painting, Woman of Taos, dated 1931. Further evidence of Gile being in Taos is his painting, Taos, New Mexico, dated 1924, which is in the collection of the Oakland Museum. It is likely that Gile, who was Belvedere’s only WPA mural commission artist during the Depression years, was in Taos with fellow painter, Maurice Logan. They returned to the Southwest in 1934 according to a front page column of the Oakland Tribune February 21 of that year. On June 8, 1947, Selden Gile died from alcoholism and is buried at the cemetery at Mt. Tamalpais, a site he loved to paint.